What better way to celebrate the birth of Jesus Christ than with cheap downloadable videogames? "Well, um, maybe peace on earth? Charity toward the homeless? Comforting the sick?" No Billy, there is no better way to commemorate the arbitrary date selected to represent the birth of the focal point of the Christian faith than with awesome deals on Xbox Live games. Microsoft says so, and they have the lawyers to back it up. And what nuggets of capitalism disguised as seasonal generosity does Microsoft have in store for all the good lil' boys and girls of the world? How about Insanely Twisted Shadow Planet, After Burner Climax and Plants vs Zombies for half price? Xbox Live figurehead Larry "Major Nelson" Hryb offers a full list of the ongoing deals on his blog, but more importantly are the daily deals the company plans to roll out over the next 12 days. Nelson/Hryb's blog post politely asks readers to follow his Twitter account for updates on what Microsoft has most recently discounted. 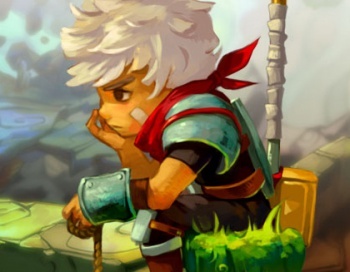 Kicking things off, the company has reduced the price on Supergiant Games' critical darling Bastion from its usual (and still totally worth it) $15 price point to an even more totally worth it $7.50. Nice timing on that one, as today also marks the debut of the game's Stranger's Dream DLC pack which is regularly priced at only $1. I don't want to tell you how to spend your money, but yes I do, and this is how you should spend your money. As I said before, Microsoft will be rolling out similarly impressive deals over the next dozen days, so stay tuned to Hryb's Twitter feed for details. Or for that matter, just follow a handful of qualified gaming journalists and do whatever we tell you. Don't worry little sheep; much like Christ, we are benevolent shepherds.